When you write a sponsored post, you need to let your readers know that you received compensation or a product in return for the post. It's not just good manners — if you live in the United States, it's the law. 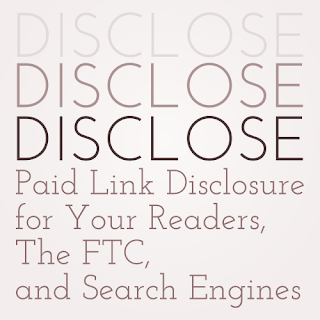 And, no matter where you live in the world, you need to disclose paid links to search engines. If you don't, you risk damaging the search engine ranking of your own blog and your sponsor's website. If you receive money or a product from a business or person, and you blog about them, you need to disclose — up front — that money or product was given to you by that company or person. The easiest and most direct way to do this is to put "Sponsored" or "Ad" in your post title, and a brief description of how you were compensated in the first paragraph. If your post is long and your readers will need to scroll between the disclosure and the link to the sponsor, add another brief disclosure before the link to your sponsor. I've seen some tutorials that suggest using an image to disclose a sponsored post. While that's an eye-catching way to do it, it's incomplete if you don't include alt text for the image. Images without alt text are not available to readers with visual impairments who use screen readers to browse the web. You need to make sure that all of your audience is notified that your post was sponsored. 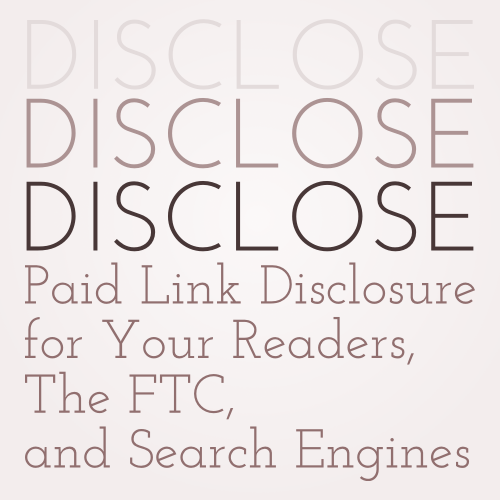 In March 2013, the FTC released a new set of guidelines for advertisers, ".com Disclosures: How to Make Effective Disclosures in Digital Advertising", and this made many bloggers think that the guidelines for sponsored blog posts had changed. Sponsored blog posts and endorsements are still subject to the guidelines in the "Guides Concerning the Use of Testimonials in Advertising", which was released in 2009. If you're already familiar with those guidelines, you're probably already doing everything right. There is one small new detail in the new document about disclosing sponsored links on social media. All you need to do to disclose those properly is add "Ad:" or "Sponsored:" to the beginning of the social media post. Piece of cake, right? Search engines penalize websites that don't disclose paid links, and those penalties are applied to the both blog that posts the undisclosed link and the advertiser whose link was not disclosed. You can read more about Google's policy on paid links and "link schemes" in the Webmaster Tools knowledge base. What If My Sponsor Doesn't Want Me to Disclose? Drop them like a hot rock and don't feel sorry about it. The FTC guidelines are designed to compel advertisers to tell the truth about their products, and let people know when the media they're consuming is an advertisement. The search engine guidelines help prevent sites from getting an unfair advantage in search engine results. If your sponsor won't be honest with your readers and compete fairly, they don't deserve space on your blog.